Life Settlement Advisors is committed to empowering seniors and the financial professionals who serve them with valuable insights and practical resources. Below, find free downloads from our library of resources designed to educate seniors, financial advisors, insurance brokers, and more on key senior issues. The life settlement market offers seniors from all walks of life an opportunity to trade high life insurance premiums for a significant payout. This presents financial professionals with a new service opportunity—and revenue stream. Learn about how life settlements work and how you can get started offering this exciting option to your senior clients. Today, every 66 seconds someone in the United States develops dementia. 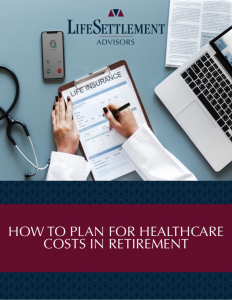 It’s important that retirees and seniors reaching retirement age pay attention to the early warning signs in order to proactively plan for the future. Find information about the causes of dementia (both treatable and not), early symptoms, and the steps you can take to safeguard your financial future in the event of a dementia diagnosis. The United States is in the midst of massive change in healthcare. With costs rising, insurance plans changing every day, and the future of Social Security in question, today’s seniors are entering their retirement years wondering how they’ll pay for the ongoing healthcare they need: How much can I expect to pay for my prescriptions? What will happen if I need long-term care? What kind of healthcare coverage will I need in the future?